Makeovers with washi tape are wonderfully easy. Lurking at the back of my bookcase, I found an old notebook that was desperately in need of a new cover. After unpicking the stapled binding and cutting some white card to size, I realised that this was the perfect opportunity to let those mt ex washi tapes shine. MT Masking Tape have a knack for producing the most interesting washi tape designs and the encyclopaedia range is no exception. 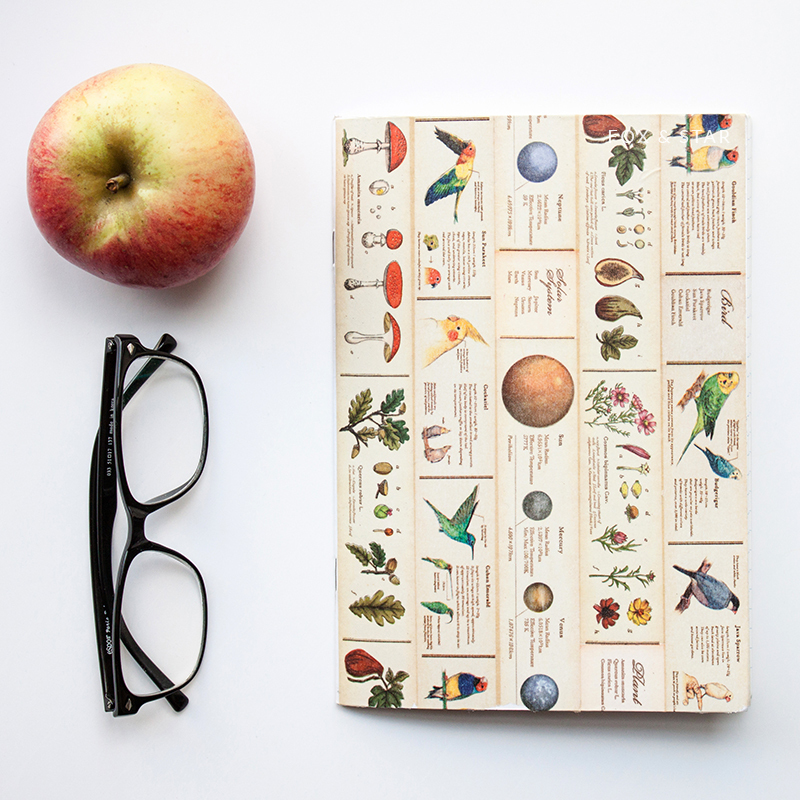 Adorned with vintage-look text and illustrations, I'm completely in love with my new custom notebook. Pretty, no?